Home / Articles / Columnists / Healthy Living / Earth Day is Over… Now What? We may single out one day a year to acknowledge and celebrate Mother Earth… but she needs us to be held accountable every day of the year. 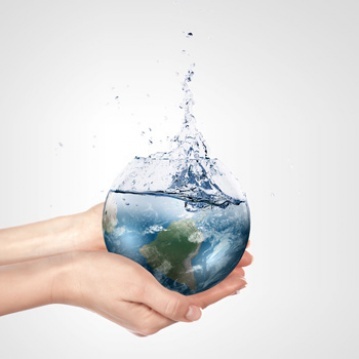 Many ecoconscious people aim to recycle, be mindful of their water usage, turn lights off when not in use, purchase hybrid cars and reusable or biodegradable water and food containers. These are all important things to do on a regular basis. However, one singular thing has the greatest impact on helping to save the planet and the earthlings who reside here. This one empowered decision will enable you to save an average of 1,100 gallons of water, 45 pounds of grain, 30 square feet of forested land, 20 pounds CO2 equivalent, and one animal’s life EVERY SINGLE DAY! It also helps to combat water pollution, ocean dead zones and acidification, species extinction and world hunger. How could one person possibly make that much of a difference? What could possibly be so impactful? Going vegan! Eating plants instead of animals saves water! The water required to produce one pound of beef is approximately 2,500 gallons. Worldwide, agriculture accounts for 93 percent of water depletion, with the vast majority of freshwater used for farm animal feed production. Up to 100 times more water is required to produce one pound of animal protein than to produce one pound of grain protein. You can save as much water by not eating a pound of beef as you can by not showering for almost six months! Going vegan helps combat deforestation. 80 percent of the agricultural land in the U.S. is used to feed farm animals. On a global scale, 1/3 of the entire planet has already reached desertification, with livestock as the leading driver. An estimated 18 million acres of forest are lost per year. The equivalent of seven football fields of land is bulldozed every minute to create more room for farm animals and livestock feed crops! Going vegan saves the ocean. Annually, the commercial fishing industry pulls an estimated 2.7 trillion sentient, sea-dwelling animals from the ocean. For every pound of fish sold in market, there is an estimated five pounds of what the industry calls “by-kill” or “undesirable” species that get discarded. Forty percent of the fish killed become fish meal, used to feed livestock animals and farmed fish in the animal agriculture industry. With the current state of commercial fishing, we are facing a barren ocean by 2048. We can combat world hunger! Animals raised for food actually consume as much as 80 percent of the global soybean crop, and 40-50 percent of the annual corn crop. It takes roughly 6.3 pounds of edible grain to produce just one pound of meat. If we fed plant crops to our human population directly, we would have more than enough food to feed the world several times over! Please watch the powerful documentary Cowspiracy. Visit cowspiracy.com to learn more.